Hire Irish Dancers for your next event. The students of the O’Grady Quinlan Academy of Irish Dance have entertained at weddings, parties, business meetings and festivals all over the Lehigh Valley and beyond. They have performed with well-known artists such as Eileen Ivers, Glengarry Bhoys and Natialie MacMaster. You can also find them every year at Musikfest and Celtic Classic in Bethlehem. 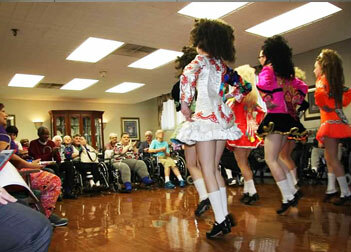 Our group also loves to dance for girl scout troops, church parties, schools and assisted living facilities. We would love to add a bit of Irish entertainment to your event! Please contact Maureen ogqteachers@gmail.comor ogradytcrg@mac.com for more information. Below are just a few examples of past performances at the various venues or with the following bands. Fill out the form below and we will be back in touch shortly. If event date varies, please use box at the end of the form to explain.